Of recent PCM who are Trying to check their names on the NYSC senate list or trying to register for the NYSC programs are getting a message like :” record not found, school yet to submit mandatory documents contact your school” while a few number of prospective Corp members are still getting you are not admitted contact your school. This article is directed to all NYSC batches either batch A stream 1 and 2 or Batch B stream 1 and 2 or batch C stream 1 and 2. The above message has thrown a lot of PCM into sad mode as they can not complete their registration process; but we want to let you know that all this problem can be resolved once we are able to identify the main reason behind it. 4 What to do if ” school is yet to submit mandatory documents” showing on dashboard? It might be that your name is not on jamb Matriculation list ;this is the number one culprits, first ensure that your name is there. It might be that your school has not yet included your name on the list of those who are going for service yet. Most of this problem is as a result of your department sluggishness in sending out names of those who are due to go for service. At times you might even find your friend names (both institution but different department) on the senate list, kindly go to your department and find out the real problem. If possible lobby them to include your name. Step one : the national youth service Corp board will send a directive to your institution to submit a master list which should be included in the senate list. This list are to be forwarded to Abuja for the necessary documentation to be carried out. 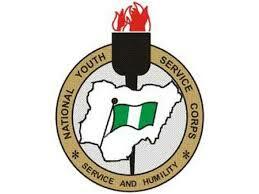 Step two : it is the duty of NYSC board to determine those who are to be exempted (because of their age is above 30.) or those who will go for service. Once those who have been cleared by nysc has been compiled , a comprehensive list will now be sent to the school back. The reason for this is to correct any mistake or error. After that the list is sent back to Abuja again. Step three: those who were exempted, their document will be processed, sent to the school which will be directed when they are to give such a person the document. While those who have been cleared to report to camp (18-30) can now proceed to register. Please note that it’s a must for your data to be submitted to nysc for mobilization, this data are to be looked into, screen and scrutinized properly. Finally it is also important for your admission to be inline with jamb, if it is not inline please you need to regularize your admission so as to be able to go for service. What to do if ” school is yet to submit mandatory documents” showing on dashboard? You can’t do anything except to contact your school, ask them the reason for the delay, if possible lobby them to send the hard copy of your credential to nysc. If your document fails to reach nysc then you will continue to see that message on your dashboard. Finally : alway note that nysc mobilization is in batches and all institutions are required to abide by the quota given to them, like some departments might be asked to submit just 100 names while some schools might be ask to submit just 2,000 names. What am trying to say here is for you to be patient when your school ask you to be. I check the 2019 nysc Senate list but they reply me no record found .what should I do?